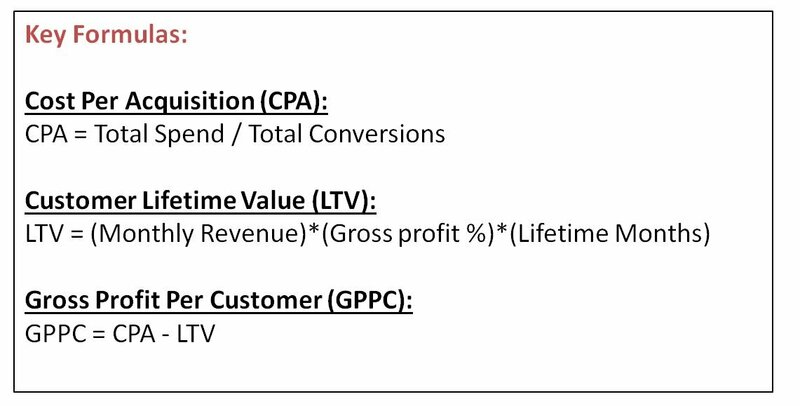 Cost per acquisition (CPA) is a mathematical formula to calculate the spend required to acquire a converted customer. The CPA needs to be calculated separately for new and returning customers and then broken down between each paid and free acquisition channel. Even for free channels some allowance should be made to include variable costs for SEO and CRM channels. The only real free channel is direct.